If you are looking for a dentist in Chicago, IL, we welcome you to our practice. As a dentist in Chicago, IL we work with our patients so they can achieve and maintain a beautiful smile and healthier gums and teeth. Endodontics is a specialty branch of dentistry where the specialist dentist called Endodontist, specializes in diseases of pulp (Root Canal) and its supporting structures. Most common treatments undertaken by Endodontists is Root Canal Treatment, Apicoectomy, Retreatment of Root Canal. Endodontic treatment is required in the patients who have inflamed or infected pulp. Deep dental cavities/caries, tooth cracks, tooth fracture, trauma to tooth or repeated dental procedures can be most common reasons for inflamed or infected pulp which ultimately required the visit to an Endodontist. The Endodontist at Archer Dental Specialists, Chicago, specialize in all kinds of Endodontic Treatments. Our office is equipped with latest endodontic equipment which includes specialized endodontic dental chair, endodontic microscope etc. As the name implies Pedodontist is the dentist who specializes in children dentistry. Every dentist can not manage the child patient as every child has his own fears and apprehensions. They do not understand the importance of teeth. Pedodotists are specially trained to manage the children by using behavior modifications technique. The foundation of good and healthy adult teeth lies in the healthy baby teeth. If the child has healthy teeth then as a adult he can have good healthy teeth. From infant to adolescent the Pedodontist takes care of the teeth of all age groups. Pedodontist are of great help in guiding children dental growth and development so that the future dental problems can be avoided. Pedodontist at Archer Dental Specialists, Chicago, specialize in all kinds of Pedodontic Treatments. If you have gum problems like bleeding gums, receding gums or your teeth has become mobile even if you are not having any decay or you are suffering fro most embarrassing problem of bad breath then you have to look for periodontist. Periodontist is the dentist who can diagnose, prevent and treat the gum problems. Periodontist do the socialization in various gum diseases. 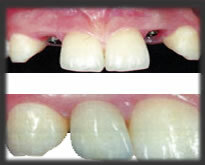 Periodontist can do the cosmetic gum surgery also like the treatment of gummy smile or the treatment of long teeth. Periodontist can put the dental implants also along with other gum surgeries. Periodontists at Archer Dental Specialists, Chicago, specialize in all kinds of Periodontic Treatments including dental implant. Orthodontist is the dental specialist who diagnoses, prevents and does the treatment of malaligned or crooked teeth which is also known as malocclusion or faulty occlusion. Not only this but if one has overlapped teeth or have problem with jaw growth and tooth development then Orthodontist can help you. Orthodontist gives braces, retainers and uses other dental appliances like palatal expanders to treat various dental problems. It is the orthodontist who gives you beautiful smile by aligning your teeth so that you can face the world with confidence as it is said –beautiful smile is the key to success. Orthodontist at Archer Dental Specialists, Chicago, specializes in all kinds of Orthodontic Treatments covering all types of braces including invisialign. Oral surgeons are specialists who after completing 4 years of dental school do the specialization in oral surgery. They are also known as oral and maxillofacial surgeons. They are trained to diagnose and treat the dental injuries, diseases which require surgery like some tumors or cysts, fractures and the surgeries involving the wisdom teeth. Oral surgeons can put dental implants; can treat the facial neuralgias and the TMJ problems. They are given advanced training in anaesthesia also so that they can take good care of their patients. If because of facial trauma reconstructive surgery is required then oral and maxillofacial surgeon is the answer. Oral Surgeons at Archer Dental Specialists, Chicago, specialize in all kinds of oral surgeries. 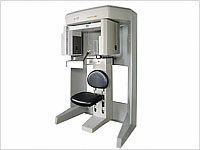 Copyright 2009 ArcherDentalSpecialists.com . All rights reserved.